Well, the easiest thing to say is Russell would be the same everywhere. But do you act the same at school as you do at home? Would you act the same at a new school? But, you are who you are, right? No one really changes too much, do they? As we continue the read aloud of The Revealers, share your opinion about Russell at Laurelville on the wall. Does Integrity Matter to a Sixth Grader? 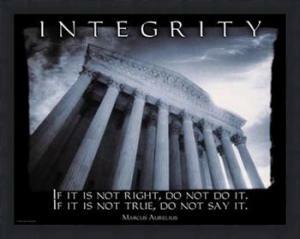 Integrity--Steadfast adherence to a strict moral or ethical code. The Mad River Theater performed at Laurelville on Wednesday. They did a play written by Bob Lucas about Lewis Latimer, an African American Inventor who lived in the late 1800's. The play recapped Latimer's life, his struggles and his successes. The performance ended with the song, Honesty, Integrity, and Pride. These character traits were representative of Latimer's life. This prods the question, does integrity matter to a sixth grader? Should it? Thinking back to the read aloud of Freak the Mighty, and having watched the film, The Mighty, I was thinking about Kevin's view of integrity. How does it compare to yours? In a few words, does your integrity guide how you live? In Reading Workshop we are continuing the read aloud of The Revealers by Doug Wilhelm. 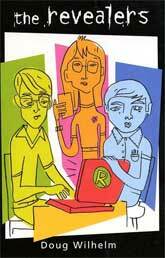 In this story about life in middle school, three students, Russell, Catalina, and Elliot are drawn together due to being targets for bullies at Parkland Middle School. As the aggression heightens, Catalina decides to share her story. She reveals that she was forced to move to the USA from the Philippines when her parents divorce. She comes to America with her father based on the chance for a better education. This brings up the question for Reading Workshop students, what is your story? If you were new to the school, and wrote a story for peers, what would it say? What Character Could You Be? As we continue the read aloud of Larger-Than-Life LARA, written by Dandi Daley Mackall in Reading Workshop, the characters are coming alive. 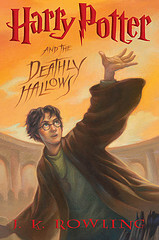 This book has a wide variety of characters, each explained in enough detail so that the reader can identify with them. In fact, Dandi makes it easy for the reader to picture him/herself in the book. Laney, the main character was described in detail in the post Laney is Larger-Than-Life. LARA is new student at Paris Elementary School. No matter how mean someone is to her, she is nice. She responds to meanness by being kind with a friendly poem. She thinks independently, and always has a smile. She is huge, so fat that she blocks the light around her coming into the door, and needed a special chair and desk. Joey Gilbert is a leader. Laney does not like him, but he is a hero to the other boys in the class. He is the class bully. He is mean to LARA and picks on other people. He is a good baseball player, but he won't let the girls play. Wayne is the class clown. He laughs the loudest, and thinks everything is funny, even when he doesn't know what is going on. He is Joey's sidekick. Maddie is the class princess. She has pretty blonde hair, and thinks she is all that. She wears all the latest styles, dressing like the high school girls. She wants to be the center of attention. She wants everyone to know who she likes and who she doesn't. Sarah is a follower. She is insecure and usually doesn't think for herself. She wants to fit in with the popular crowd. Every decision she makes is based on what Maddie says and does. The brothers (Laney's) are mean, skip school, don't like Laney or appreciate what she does. They argue and fight constantly. Laney's dad has a bad temper, hates his job (and his life). He drinks way too much. Good readers can relate to characters based on one trait, or many. To enjoy a book though, the reader must understand the characters. Frequently, one characteristic shared between the reader and someone in the story creates involvement and connects the reader to the story. What character are you connected to? How are you connected?